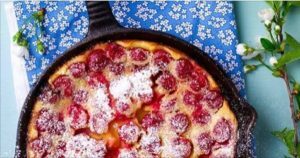 New England Innkeepers share bucket list French Toast breakfast recipes. In Part 1 of our Bucket List Breakfast Ideas series we explored pancakes with penache. Today, we’re saying move over plain French Toast, Distinctive Inns of New England is here to offer up a variety of beyond-boring French Toast recipes. Visit any of the 12 Distinctive Inns of New England and you just might be treated to one of these recipes or others. The homecooked breakfasts at DINE inns are the perfect way to start your day and revv your New England romantic getaway with plenty of energy to explore the area. But first, let’s look at how French Toast came to be such a breakfast staple in America.It was actually introduced somewhat by accident by an innkeeper! According to the Apicius, a collection of recipes from the early 5th century AD, a version of what we call French Toast existed as early as the time of the Roman Empire. Referred to as Pan Dulcis, the Romans would soak bread in milk (and sometimes also egg) mixture, then fry it in oil or butter, as we do today. In the 15th century English court of Henry V, the next stage in this delicious breakfast treat was born when a version of the French toast called “pain perdu” or “lost bread” became the hot culinary trend. At that time, it was called “lost” bread because the recipe called for soaking hard or stale bread in a mixture of milk and egg, then frying it. Pain perdu remains what the French call French toast today. So, if the French did not invent the modern version of French toast that we know today, where did it originate? According to legend, it was actually invented by an Albany, New York, innkeeper named Joseph French. He created the dish in 1724, and advertised it as “French Toast” because he was grammatically inept and forgot the apostrophe! Just think, we could have been calling it French’s Toast all this time, and honoring this great innkeeper. 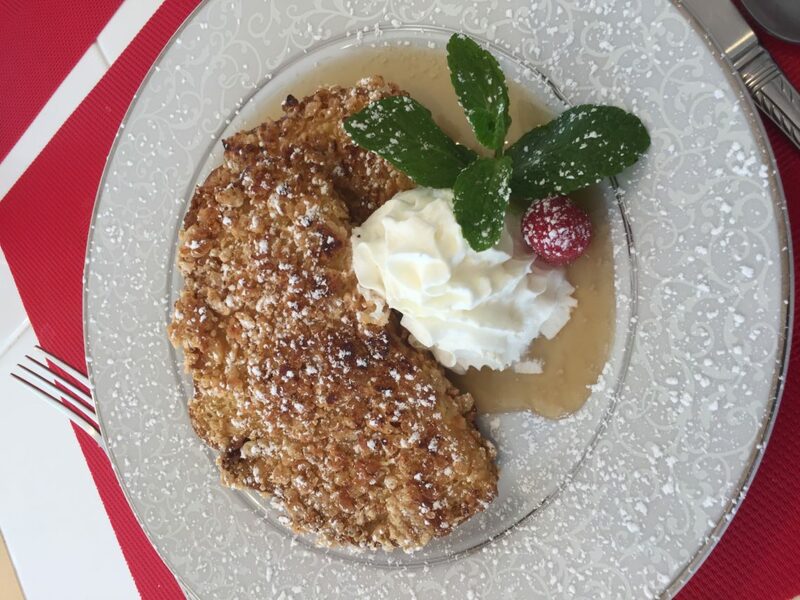 Now that you are armed with the history of French Toast for your next trivia contest, let’s look at some of the beyond-decadent recipes offered by Distinctive Inns of New England innkeepers. A very special soufflé, prepared the night before and baked in the morning, for a sumptuous meal as pleasing to the eye as it is to the palate! Preparation time: About 30 minutes. Baking time: About 1 hour 15 minutes. Generously butter a 9 x 13 glass baking dish. Put the cubed bread in a very large mixing bowl and set aside. Beat the butter, cream cheese and maple together until it is smooth and uniform. Add the half and half and the extracts and beat to aerate and combine. Add the eggs, one at a time, beating after each addition to incorporate. Pour this mixture over the cubed bread and toss to coat fully. Allow to sit for a few minutes, and then toss again. Pour bread mixture into prepared pan, sprinkle with berries, cover with plastic wrap and refrigerate overnight. In the morning, preheat oven to 350 degrees. Remove prepared pan from the fridge, remove plastic wrap and sprinkle with slivered almonds. Place the baking pan in a larger pan and add water to the larger pan about 1/3 of the way up the glass pan (water bath). Dot the top with butter and bake for about 50 – 60 minutes. Remove the pan from the water bath and continue to bake about another 15-20 minutes until you see the bottom and sides of the soufflé begin to brown. Soufflé is done when a small deep slit with a sharp knife made in the center does not come out wet. It should be moist, not wet. Allow to cool a few minutes, slice and serve with Crème Fraiche drizzled over the top and warmed maple on the side. In a medium bowl, combine the evaporated milk, eggs, water, sugar, vanilla extract and cinnamon. Dip the bread into the mixture, then coat each slice with the crushed cereal. Heat the griddle, glaze with butter and cook each piece until golden and crisp. Garnish with strawberries and dust of powdered sugar. Heat fry pan and add enough butter to cook with. Dip pound cake in egg mixture (soak longer for more dry or dense cake). Do not over soak or your cake will fall apart. Place in medium high skillet and cook till brown on both sides. Slice the apple, and put in the poaching liquid to heat. 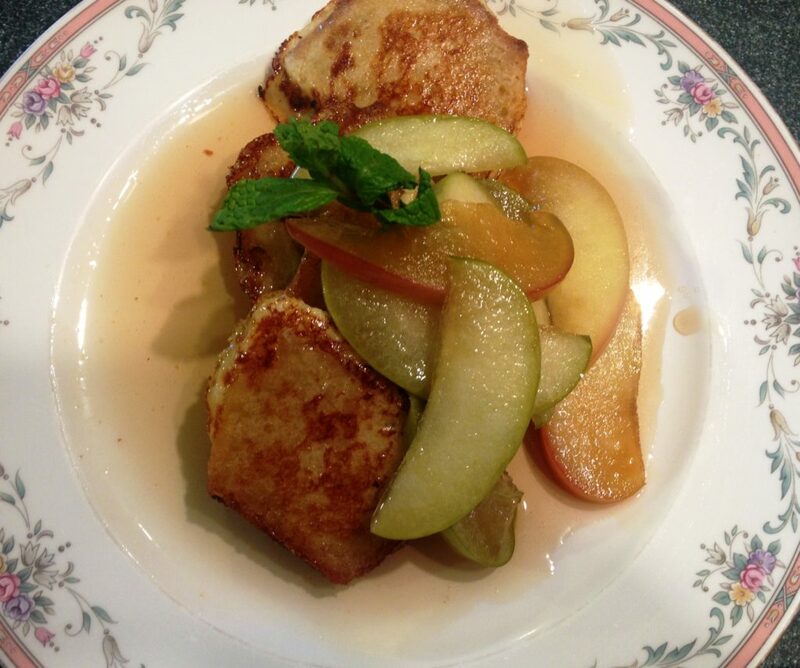 Arrange several slices of French toast on a plate and ladle the apples and sauce on top. Love great breakfasts? You’ll enjoy them during your next DINE getaway. Plan your pampered 2017 getaway at the 12 Distinctive Inns of New England by clicking below on links that will take you directly to each of their websites. This entry was posted in advice, breakfast, Captain's House Inn, culinary travel, Distinctive Inns of New England, Gateway's Inn, gourmet, Recipe and tagged breakfast recipes, breakfast recipes from New England innkeepers, French Toast, French Toast recipes, French Toast recipes from Distinctive Inns of New England, French Toast recipes from New England inns, New England B&B recipes, New England inn breakfast recipes, New England Inn recipes by DINE Blogger. Bookmark the permalink.